Trainer John Gosden believes Roaring Lion’s biggest concern in the Breeders’ Cup Classic could be kickback on the dirt surface at Churchill Downs rather than the opposition. Gosden admits the Breeders’ Cup meeting in Kentucky next week was not at the forefront of his mind earlier this season but the colt’s well-being means he has no reason to stay at home. 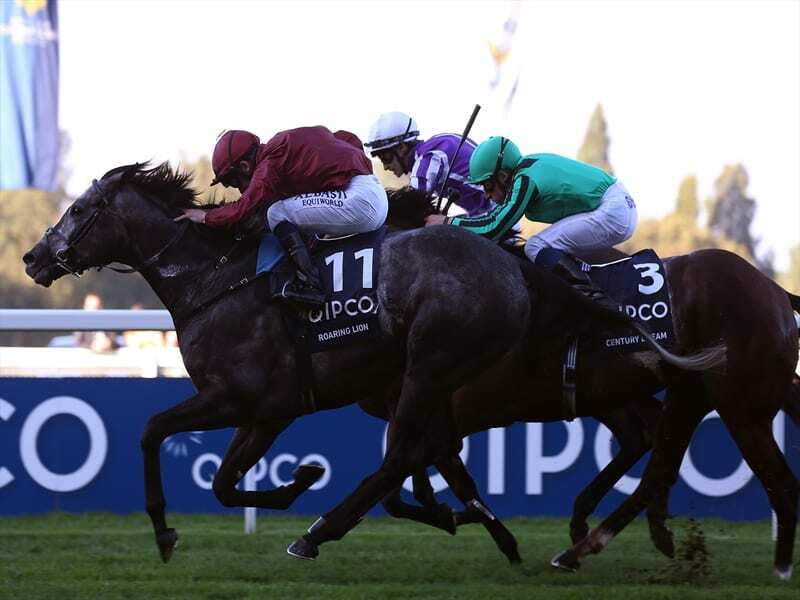 Roaring Lion’s success on Champions Day on Saturday came over a mile (1600m) in the Queen Elizabeth II Stakes. His three previous Group One wins were over 10 furlongs (2000m) which is why he is running in the Classic rather than in the Mile – or the Turf over a mile and a half. “It’s extremely game and sporting of the owners (Qatar Racing) of Roaring Lion to put him in the Classic,” Gosden said. “We are all perfectly aware that racing on the dirt is one thing. But as I’ve found down the years, the problem is the kickback, not the surface. “He has had a tough, long year. I think this enters the ‘let’s have a look at this at the end of the year’ rather than it was planned from the summer onwards. Stablemate and dual Prix de l’Arc de Triomphe winner Enable will represent the stable in the Breeders’ Cup Turf. Gosden says Enable is fitter now than she was for the Arc earlier this month. “She was a little quiet for a bit, but you don’t normally win that race 85 per cent fit. I think I’ve got her fit now,” he said. Gosden said her owner Prince Khalid Abdullah would make a decision after the mare returns to England whether she would stay in training next year.